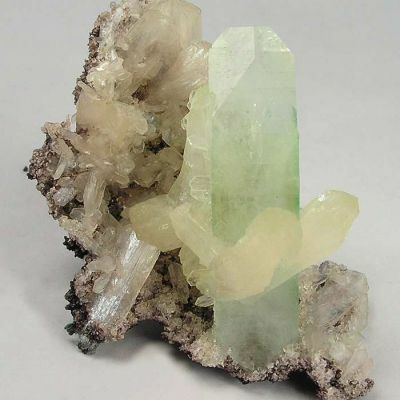 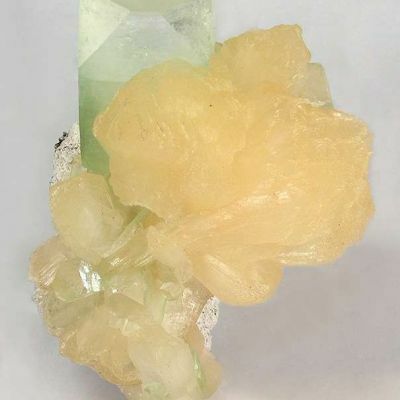 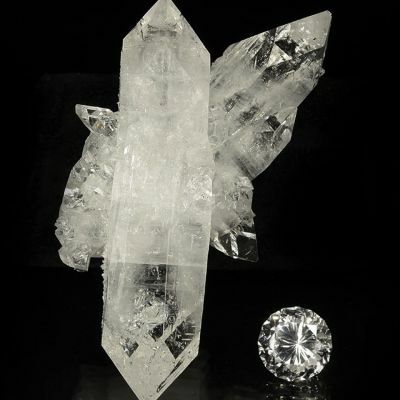 This colorful large cabinet specimen is composed of multiple intergrown crystals of both fluorapophyllite and stilbite. 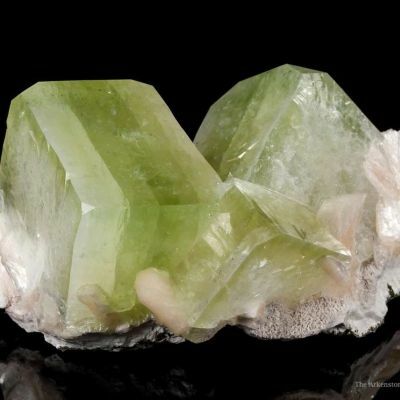 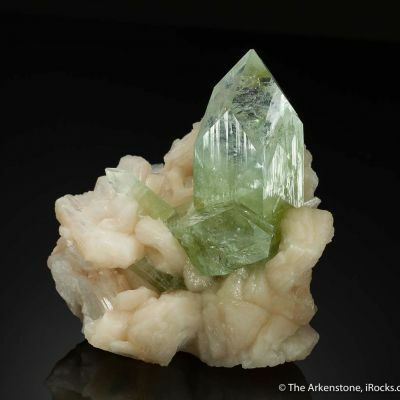 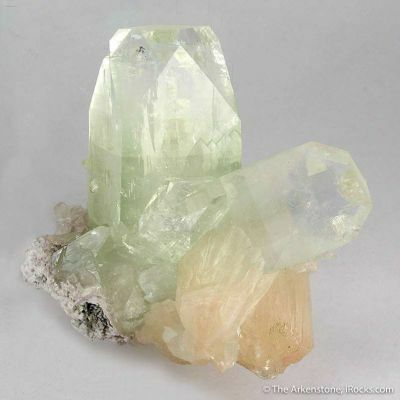 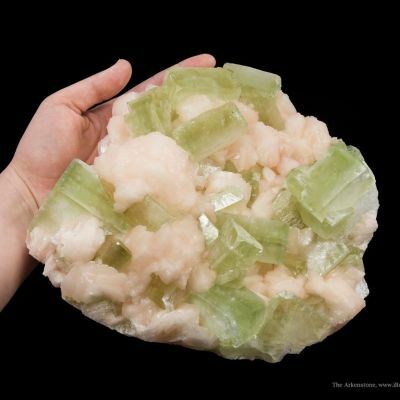 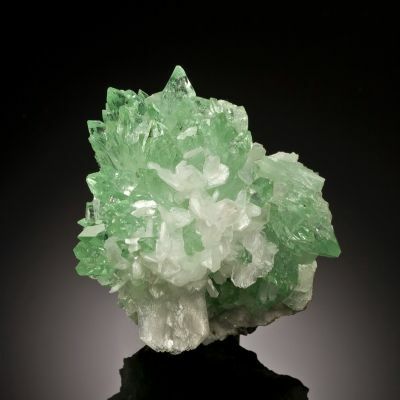 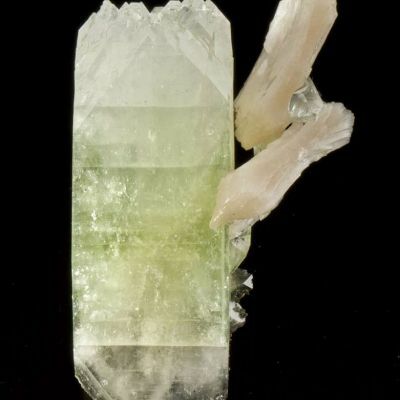 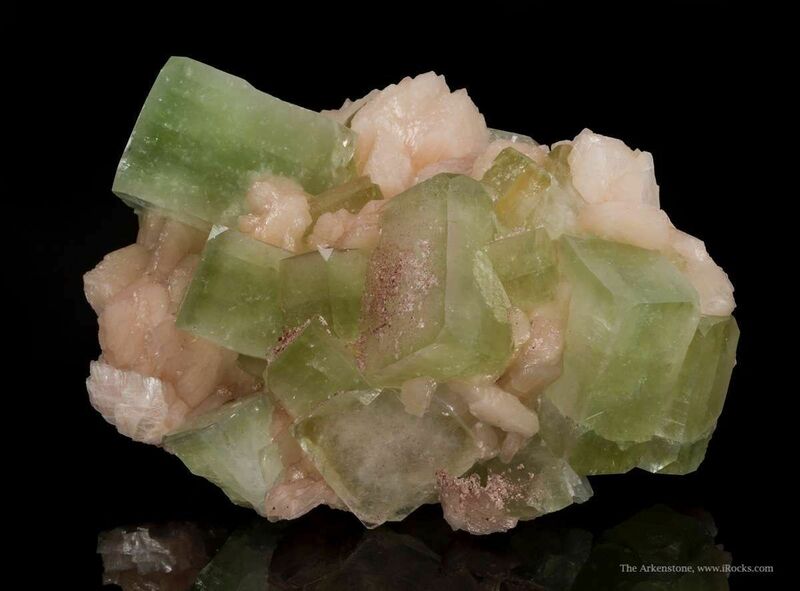 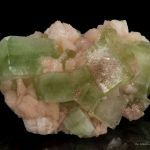 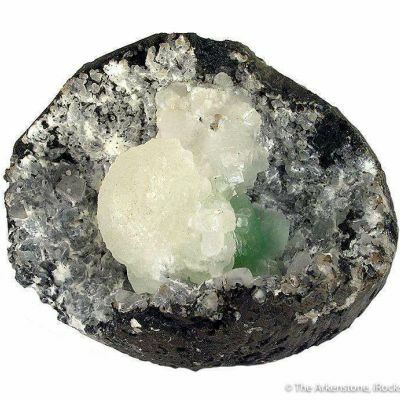 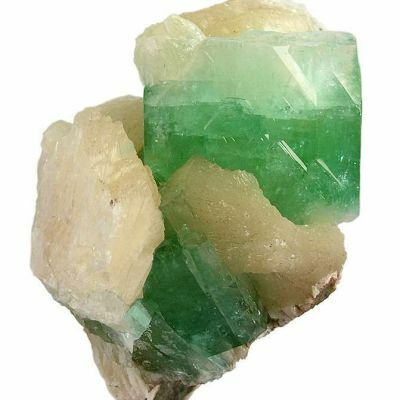 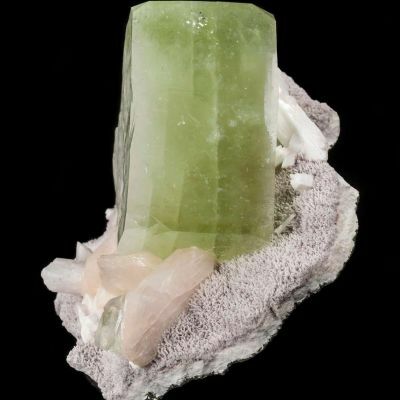 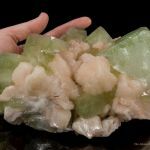 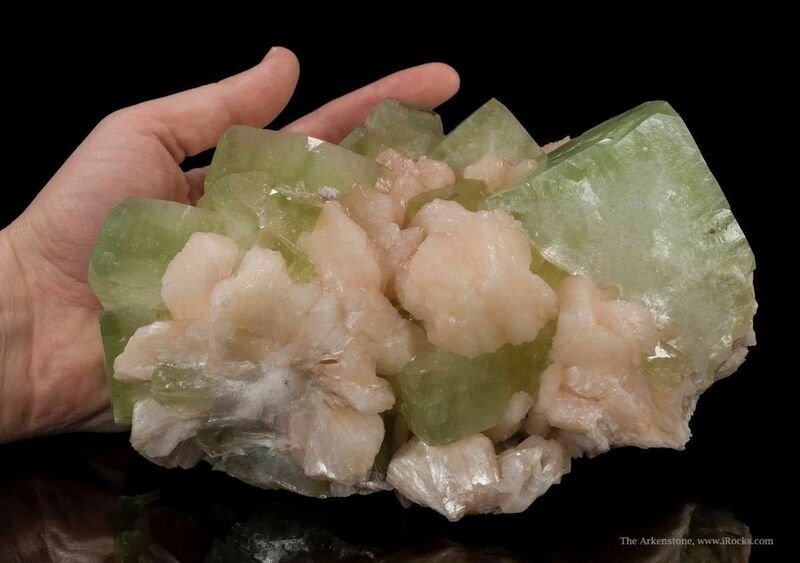 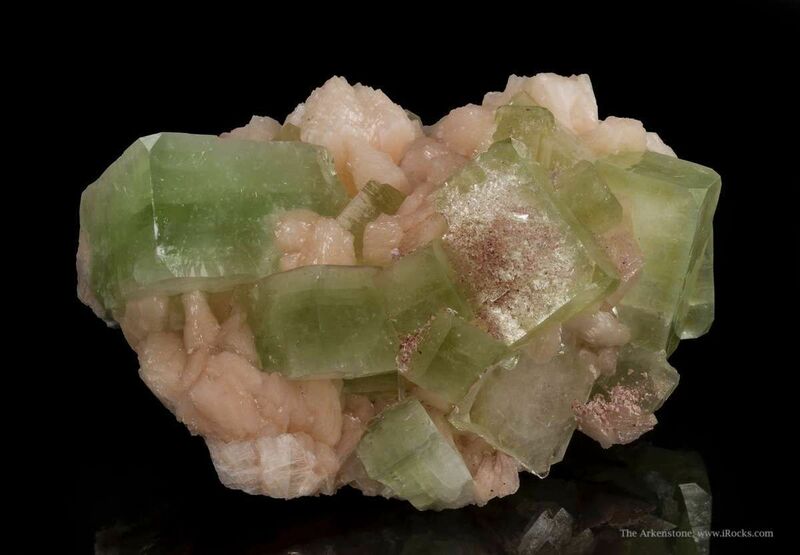 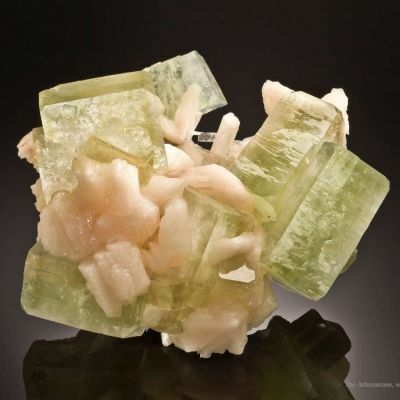 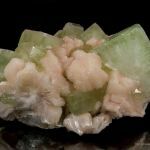 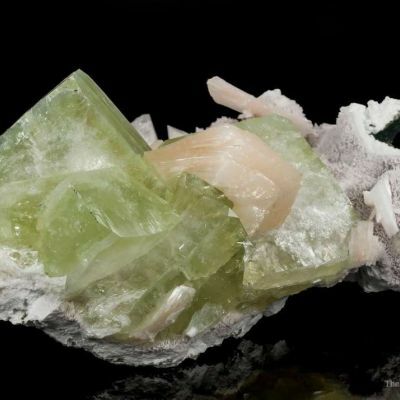 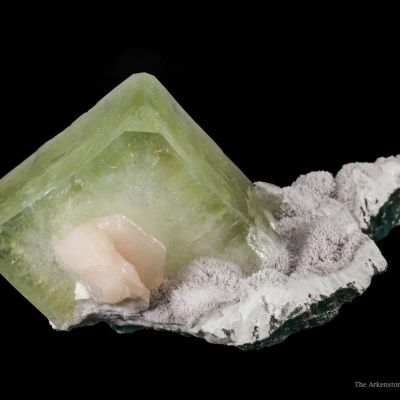 The fluorapophyllite is lustrous and translucent, bicolored light and faint green and reaches 6.5 cm across. 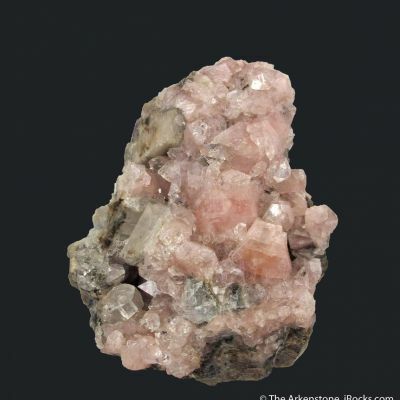 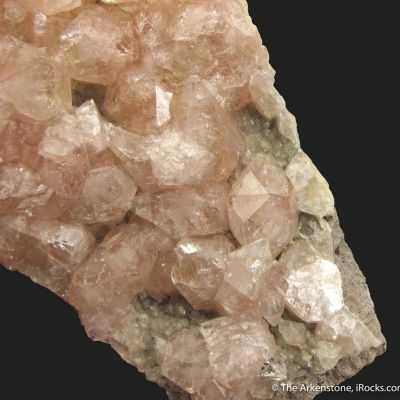 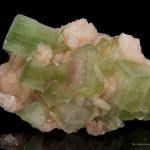 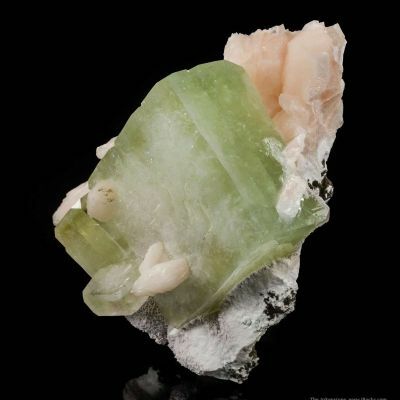 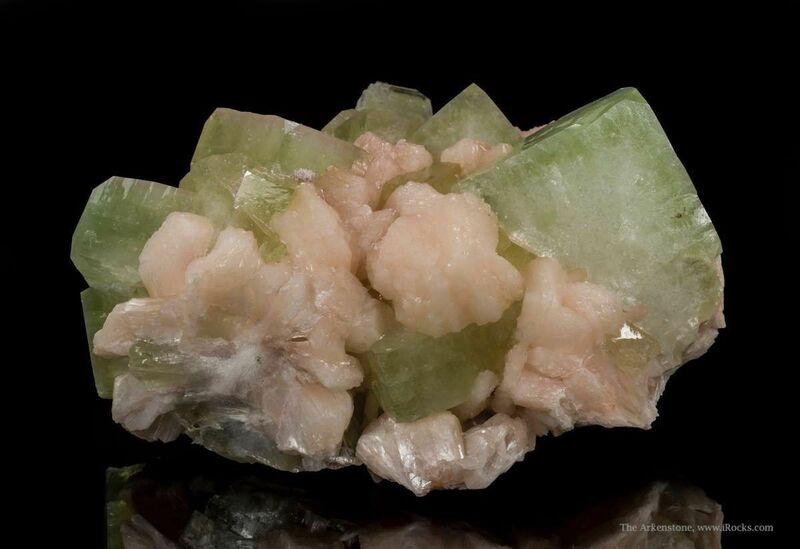 The stilbite is lustrous and colored a faint pink these crystals reach 5 cm across. 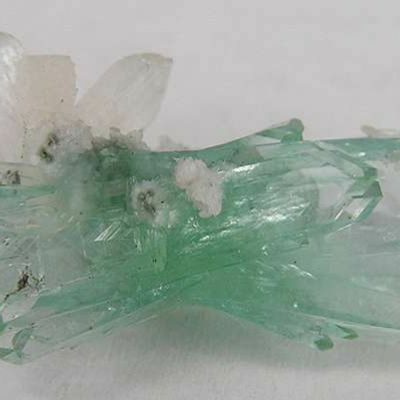 These crystals are, unusually, a more intense green color when viewed side-on (and those sides are extremely sharp and lustrous!) 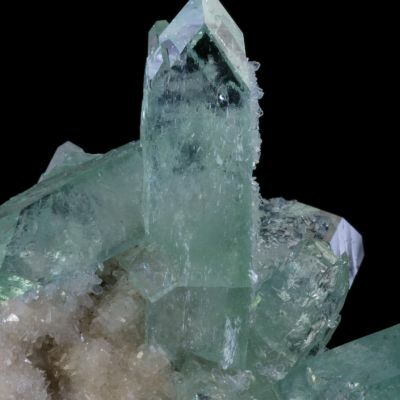 From the January 2014 pocket.